Amazon.com link for this book. As time passes and it is easier to evaluate her work with historical perspective, it is clear that she was one of the most important and original theologians of the twentieth century. The list of her accomplishments in the field of theology and innovations in healing ministry is astounding. 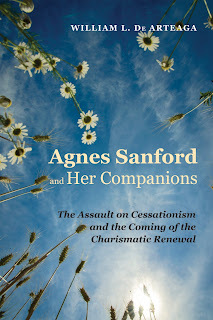 ... and he follows with what is indeed an impressive list of Agnes Sanford's books, leadership roles and initiatives, students who themselves became prominent, and even her pioneering role in ecological spirituality. Mrs. Sanford's relative obscurity today is due to several factors. One is that her theological writings, like that of her contemporary Pentecostal brethren, were simply written and based mostly on reflections on Scripture which were formed from comparisons and analogies to her experiences in prayer and the healing ministry. This is very different from the expectations people have as to what "serious" theology is supposed to be. These assumptions include that theology must be written by an academically credentialed person, have many comparisons and citations from other theological works, and include references to the latest theological trends. Mrs. Sanford did none of this. But perhaps the more important reason for her obscurity today is that even in her most influential period, 1950-1970, her theology was considered suspicious by many Christians. The background for this suspicion forms a major part of De Arteaga's fascinating book. 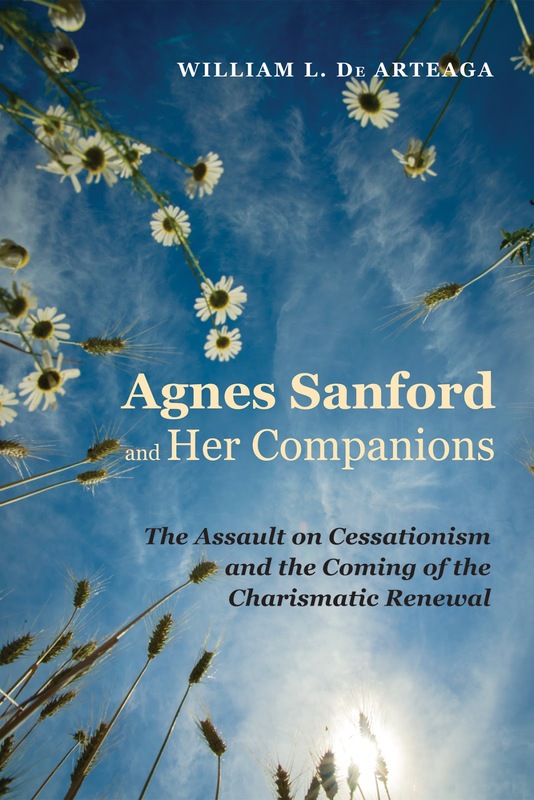 His scope is the whole history of Christianity, and within that movement, the influence of three dynamic trends that have affected the way the church views Agnes Sanford's central concern -- healing prayer -- to this very day. First, the "Galatian bewitchment": For De Arteaga, it is a given that in the period of Jesus and the apostles, the gift of healing, and other extraordinary gifts, were active. But in succeeding generations, those gifts were increasingly marginalized. Among some Christians, the gifts themselves were subordinated to the virtue of humility, and were to be practiced second-hand, exercised only by special "holy" people or by saints through petitionary prayers. This "bewitchment" alienated believers from their own rightful authority, affecting both the Catholic and Orthodox families in various ways. Second, "cessationism": In contrast to the Catholics, the Reformers and their descendants took a somewhat different approach to marginalizing or denying gifts such as healing. In confronting what they saw as abuses in the Catholic church connected with the monopolization and ritualization of healing, they tended to deny that anyone after the apostolic era had these gifts. This approach, cessationism, was usually intended to strengthen believers in their biblical faith. (After all, the apostle Thomas was told, "... blessed are those who have not seen and yet have believed.") Ironically, the corrosive effect of belief without access to authenticating spiritual power or experience was what De Arteaga labels "the gifts deficient church and the secularization of Europe." Cessationism dominated both of the major movements within European Protestantism. The theological conservatives "maintained the cessationist hermeneutic at all cost" for their own reasons, while theological liberals adopted one or another form of Schleiermacher's "myth hermeneutic" by which historical miracles of any kind were demoted to edifying stories. The much vaunted scientific method didn't extend to theologians investigating whether any claims of healing were actually true; those claims had already been defined as untrue. The third dialectical trend proposed by De Arteaga is the "Marcion shove," the potential of heretical movements to break through orthodox complacency and restore a more balanced and genuine orthodoxy. The original Marcion (whose theology was, De Arteaga says, "both destructive and insightful") pushed the church toward a more adequate stewardship of its holy writings. It took a generation of more recent heretics to help Christians break through centuries of "bewitchment" and cessationism to a rediscovery of miraculous gifts. But it was precisely those modern Marcions who are also responsible for the context of suspicion that has helped obscure Agnes Sanford. The central chapters of De Arteaga's book are a parade of the fascinating characters who represented that modern "Marcion shove" ... spiritualists and Christian Scientists, mystical entrepreneurs and gurus, many of whom played a role in what is sometimes called "New Thought." De Arteaga describes how, in his own view, each of them combined elements from Christianity, other religions, freelance mysticism of all kinds, and (sometimes) sheer force of personality to begin satisfying the popular appetite for spiritual power that respectable mainstream Christianity was often leaving utterly unsatisfied. Sanford's crucial role was to take that legitimate hunger and show how a believer's prayer, shaped by biblical faith (and by mentors with similar biblical grounding) could meet the need. She and the relatively few others who were having similar insights began creating associations, seminars, and camps, ultimately reaching hundreds and thousands who became leaders in their own turn in the modern healing movement in Christianity. De Arteaga shows how that movement overlaps with Pentecostals and the charismatic movement, but is not wholly confined by either. This brief summary doesn't do justice to the care and complexity of De Arteaga's book. 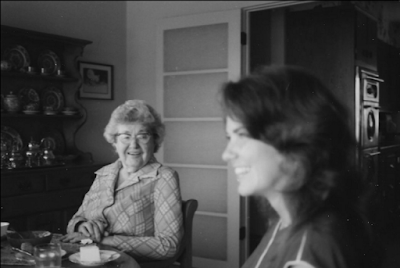 Aside from the value of his historical and theological treatments of healing, for me the book gave me an amazing sense of being back in touch with my beloved mentor Deborah Haight, who first told me about Agnes Sanford. Some of the people Deborah and I talked about in my very first months and years as a Quaker, are mentioned in this book: George Fox, Frank Laubach, E. Stanley Jones, and Rufus Jones. Other people mentioned in the book, such as Dennis and Rita Bennett, George Maloney, Ruth Carter Stapleton, Francis and Judith MacNutt, and Morton Kelsey, are also people I first learned about in those years. A related engaging feature of this book: the delightful juxtapositions of people usually not mentioned in the same breath -- Augustine, Cassian, Calvin, St. Gregory of Palamas, Emanuel Swedenborg, Jonathan Edwards, Mary Baker Eddy, Karl Popper, Albert Einstein, Max Planck, John MacArthur.... As De Arteaga says about Agnes Sanford and her breakthrough syntheses, she was aware that, "like many others in CNP [Christian New Perspective], she was in two apparently incompatible camps at the same time." I've been there! One of the contradictory undertones of the book is its withering references to western liberal Protestantism. The mainstream seminaries come in for frequent condemnation as self-serving academic guilds and as hotbeds of skepticism and reductionism. Some of this is no doubt deserved, but not all, and it's hard to reconcile that snide tone with the same author's argument that God's sovereign power can transform heresy into something good, and his willingness to find good features in even the oddest heretics of the Marcion Shove. I don't disagree with his historical generalizations, only with their blanket application. I've met many faithful praying people from these sorts of seminaries. Unfortunately, the book has a large number of distracting typographical errors. I don't know who does quality control for the publisher, but someone was asleep. This certainly shouldn't dissuade you from getting William De Arteaga's delightful book, meeting Agnes Sanford's fascinating companions in healing, and maybe even becoming one of them. Sarah Fredericks: the Paris climate agreement reflects years of advocacy by religious people. Vladimir Markin claims that "Russophobia is like AIDS." Other than that piece of bad news, he advises ignoring bad news. John D. Wilsey: Is the Evangelical right actually conservative? "The crisis of authority among rightist evangelicals is more than a nuisance." Blues Directors - Don't Ever Let Nobody Drag Your Spirit Down from DeeGee on Vimeo. [Text from Vimeo] The Blues Directors band, founded by the Boise Blues Society board of directors, performs their Blues in the Schools program at Boise State University on Nov. 19, 2015. Camera and editing by Gordon Rosenberg for BBS. More info: Boise Blues Society took its innovative Blues-in-the-Schools educational wing of the organization to Boise State University on Nov. 19, leading Professor Rodney Zuroeveste’s Introduction to Jazz class, in the Recital Hall at Morrison Center. The program, an encore performance from last school year, featured teaching from various members of The Blues Directors band on the relationships of blues and jazz, including how the roots of each came from early American culture and music traditions. That's very interesting. Agnes Sanford was important for my parents when I was growing up. Of course there have been a number of others who have stressed similar points and been influential, like John Wimber. I think the point about "theology" being done outside of the academic discipline and training is important. Theology is something for the whole body of the church, not something on which to rely too much on "experts." John Wimber and the Vineyard movement are also mentioned several times in the book. 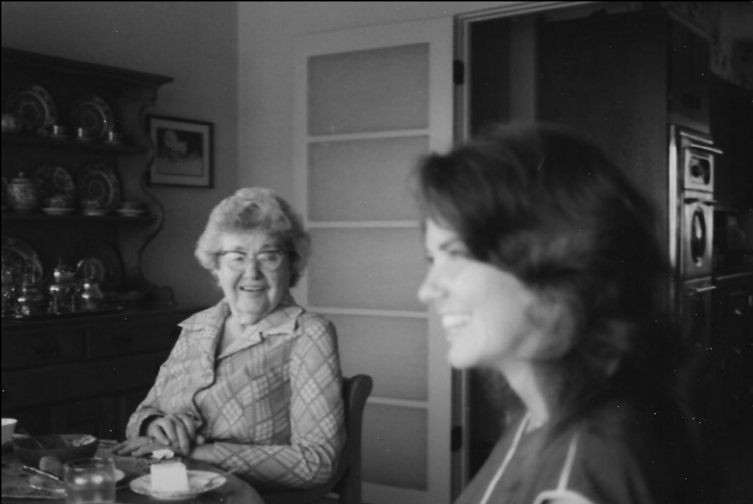 Friends' functional approach to theology and our traditional suspicion of trading in theological "notions" make it unsurprising that Friends might have accepted Agnes Sanford more readily than the theological establishment has. I'm reminded of Robert Barclay: "And no man [or woman] here limits the Spirit of God, nor bringeth forth his own conned and gathered stuff; but every one puts that forth which the Lord puts into their hearts: and it is uttered forth not in man's will and wisdom, but in the evidence and demonstration of the Spirit, and of power." Thank you for the work you poured into this book. I'm glad to know that the corrected edition is up at Amazon. Having read some of Sanford's writings... I'd have to say that her theology seemed far less plausible than her healings. merely trust in God's power and willingness to heal human afflictions wherever they aren't serving some greater purpose.